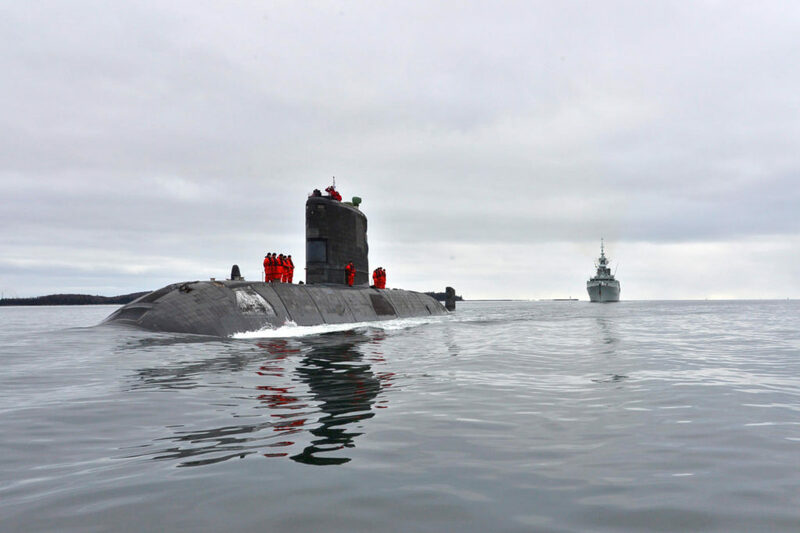 The recently released Canadian Defence Policy entitled “Strong, Secure and Engaged” reiterated the need for Canada’s Navy to be comprised of a balanced fleet of platforms which includes submarines. However, while it did not specifically mention a submarine replacement project, it did commit to modernizing the four Victoria-class submarines. Clearly, in this policy, the Government of Canada has acknowledged the unique qualities and options a submarine capability brings to the defence of the nation, and the pressing need to maintain this capability. The question then becomes when will a replacement project for these submarines be announced? The Victoria-class are now at mid-life and concerns being voiced over delays in standing up a replacement project are fully understandable. However, when one stands back and looks at submarines through a strategic Canadian perspective, then the current policy of Victoria-class modernization makes some sense. These submarines have significant potential and more importantly, the future submarine that Canada needs does not currently exist. Let me explain. Firstly, some background. The four 2400 ton Victoria-class conventionally powered (diesel-electric) submarines were purchased used from the UK in the late 1990s under the aegis of what was known as the Submarine Capability Life Extension project. A gap-filler vice replacement for the 2200 ton Oberon-class submarines that Canada was then operating on were approaching the end of their service lives. To some this may seem to be semantics; it is not. Canada needed to maintain an ocean-going submarine capability, but the fiscal realities of the Chretien government’s deficit reduction programme precluded the funding of a submarine replacement project at that time. HMCS VICTORIA returns home through the Straits of Juan De Fuca, from operations with the United States Navy (USN) on February 26, 2015. 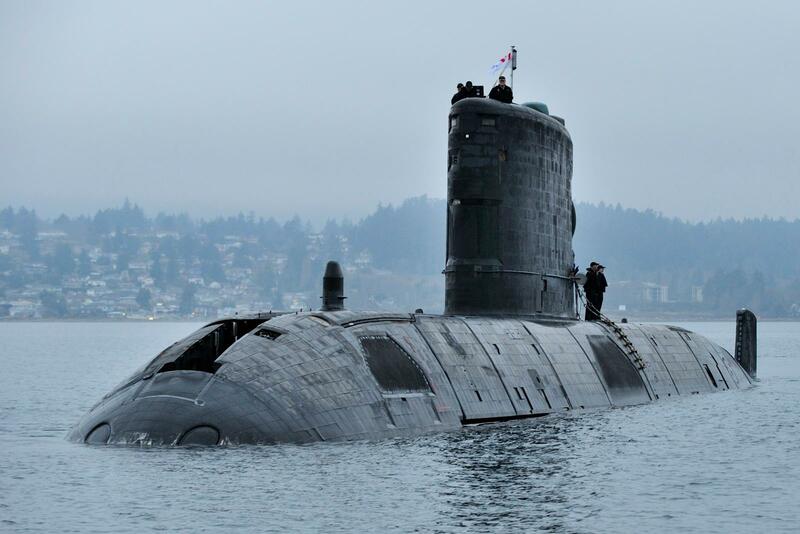 For a submarine capability to survive, Canada had to purchase a stop-gap solution with very limited resources, which it did by capitalizing on the UK decision to retain a nuclear-only submarine fleet. This had caused four recently commissioned Upholder-class conventional submarines to be withdrawn from British Royal Navy service. While admittedly the design of these submarines was not optimal for Canadian requirements (namely endurance), they were well worth the investment as a capability life extension. Notwithstanding the plethora of uninformed media reports, these are very good submarines that have and will continue to serve Canada well as a globally deployable underwater capability. Since acquiring the Victoria-class submarines, the maturity of what is termed “parent navy” responsibility has grown across the Royal Canadian Navy (RCN), government and Canadian industry. Have some (albeit limited) under-ice capability (Arctic). Have long endurance (which includes crew habitability considerations). Notwithstanding the above, it must first and foremost be Safe, Functional and Affordable. A true Canadian submarine would be able to operate in all three of Canada’s oceans without restriction, which necessitates the ability to operate independently from the atmosphere (air) for prolonged periods of time during under-ice activities. Currently, there is only one type of air-independent propulsion that can regenerate the atmosphere necessary for prolonged submerged operations – that is nuclear propulsion. It is not the intent of this article to debate the merits of nuclear propulsion for Canadian submarines but suffice to say this was investigated in the late 1980s under the Mulroney Government ‘s three-ocean strategy of procuring 10-12 nuclear-propelled submarines. The nuclear infrastructure was found to be unaffordable in relation to overall Government of Canada fiscal priorities. That assessment will most assuredly have not changed over the last three decades. 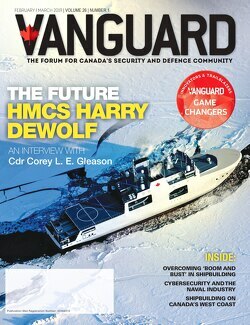 The Canadian requirement can then be defined as a large ocean-going non-nuclear powered submarine that can patrol off the coasts of Canada, with limited ice-edge forays into the Arctic, and be able to deploy worldwide in response to Canadian government requirements, either independently or as part of a coalition force. But does this submarine exist? To answer this question, one must take into account some further considerations. Given that the submarine could be in service well beyond the traditional 25-year design lifespan, flexibility for fitting future equipment changes and ever demanding habitability requirements must be considered in the baseline design. In other words, if you want to recruit submariners in 2050 the accommodations will have to be significantly better than the 1950s. Taken all together, this drives a modern ocean-going conventionally powered submarine to a displacement of at least 4000 tons. The issue with growth is tied directly to power generation and submerged endurance – the bigger and more capable the submarine, the more power is needed to be generated (and stored) in order to operate it efficiently. Most conventional submarines in the world today are small – less than 1500 tons. They are designed to meet national requirements, usually in a coastal defence role. The realities of Canada’s immense geography (for example, the distance between Halifax and Nanisivik is greater than Halifax to London, UK) demand an ocean-going – not coastal – capability with independence from supporting infrastructure and resupply. Simply put, when operating off Canada’s coasts there is no quick port to nip into to resupply – it can be really quite austere. Today a modern conventional submarine is diesel-electric powered, with a proven technology that dates back a century.These air-breathing diesel engines generate electricity that is stored in a large battery. The battery then powers everything in the submarine from propulsion to the galley. Recently, some nations have added non-nuclear Air-Independent Power (AIP) generation with which to conduct prolonged submerged operations (limited by AIP fuel) as an adjunct, (not a replacement) to traditional diesel-electric power. These different forms of non-nuclear AIP, all of which require additional types of fuel to operate, are almost all exclusively developed by and for European nations with different submarine operating areas than Canada. Notably, they are all much closer to sources of resupply than a Canadian submarine conducting domestic operations can ever hope to enjoy. Moreover, these systems are not powerful enough to generate and clear the atmosphere of the submarine should there be a fire and therefore, at their current level of technology, are unsuitable for prolonged under-ice operations. A modern conventional submarine designed today would see a continued refinement of diesel generation technology with greater power and fuel efficiency, accompanied by better battery technology, such as lithium. This would allow for increased energy storage capacity, as well as a potential for augmentation of an AIP source for limited submerged power generation. Technologically this represents the status quo, which poses a dilemma for Canadian submarine designers trying to push an ocean-going submarine for long distances and potentially under the ice. In short, Canada needs someone to go away and develop a technology that will mirror nuclear propulsion, but not be nuclear – this will require a significant financial investment. As the major navies in the world have already invested in expensive nuclear propulsion infrastructure (US, UK, France, Russia, China & India) there can be no expectation of the sort of technological investment required to meet this challenge to come from these nations. Thus, one needs to look to industry for a solution, and fortuitously, the push for more environmentally acceptable alternatives to fossil fuels that have caused a technological revolution in power, particularly in battery technology. From the submarine perspective, is this technology there today? No, not yet; but given time it will undoubtedly reap rewards and significantly alter the design of future conventional submarines. Therefore, if Canada is to obtain the submarine it requires without embarking on huge technological investment, it needs time for industry to develop the solution. Hence the reason the Victoria-class Modernization (VCM) project is important, it will buy Canada the time necessary to leverage nascent technologies to obtain the submarine Canada needs or, in other words, the ‘Unconventional-Conventional Submarine’. HMCS VICTORIA sails past the Japanese Ship ISE as she arrives in Pearl Harbor on July 1, 2014 to take part in Exercise Rim of the Pacific (RIMPAC). Support to joint operations ashore. This has always been a traditional submarine mission set and Canada needs to further exploit the inherent flexibility of a conventional submarine in the conduct of operations in the shallow and congested waters of the littoral; particularly in support of Special Forces. Operations in the Arctic. The requirement to be able to operate in the Arctic is well recognized and, as previously discussed, there are some significant challenges to achieving more than seasonal ice edge forays when operating non-nuclear powered submarines. This is a tough order, which has the potential to realize meaningful improvement over current capabilities. It is also a very necessary catalyst to push the type of submarine technologies that will be considered in a future submarine replacement programme. The last time Canada built submarines was during the First World War for Britain. That said, Canadian manufacturers in the Montreal area have and continue to construct elements of modern US nuclear-powered submarines, which includes the ability to cold roll High Yield steel. Meanwhile, the nucleus of a submarine build capability may be resident in Canada, the bigger question becomes would it be economically feasible? That would, of course, depend on a number of factors – most importantly the total numbers of submarines to be built. There is an argument that with the assistance of an experienced submarine shipbuilder, Canada can procure a fleet of 12 modern AIP equipped submarines, as recommended by the recent Senate Report on National Security and Defence. The question becomes who are these experienced submarine designers/builders and can they do it? US – is building arguably the finest ocean-going submarines in the world. However, the US does not build submarines for foreign nations and both submarine yards are currently fully engaged with Virginia-class SSNs and the new Columbia-class SSBN. This will be unchanged well into the 2030s, moreover, politically there is no appetite in the US to build non-nuclear powered submarines. UK – there is one submarine yard, which is at maximum capacity to build the Astute-class SSNs and the Dreadnought-class SSBNs – this will be unchanged into the 2030s. Germany – the largest conventional submarine builder in the world, however designs are typically under 2000 tons and suited for European geography and/or littoral nations. Customers include Israel, Greece, Portugal, Korea and Turkey. France – produces a smaller SSN design than other navies and is also producing a 4000-ton non-nuclear powered export version of the Suffren-class SSN (called a Short-Fin Barracuda). French designs tend to be optimized for likely areas of operation – namely the Mediterranean Sea. Sweden – smaller designs for the European geography (Baltic/North Seas) typically under 2000 tons. Of note, the Australian Collins-class submarines are a modified Swedish design of 3400 tons displacement. Japan – indigenously designed and produces very large conventional submarines – the Soryu-class submarines are 4200 tons in displacement. However, because of constitutional issues, Japan has not engaged in any submarine exports to date. 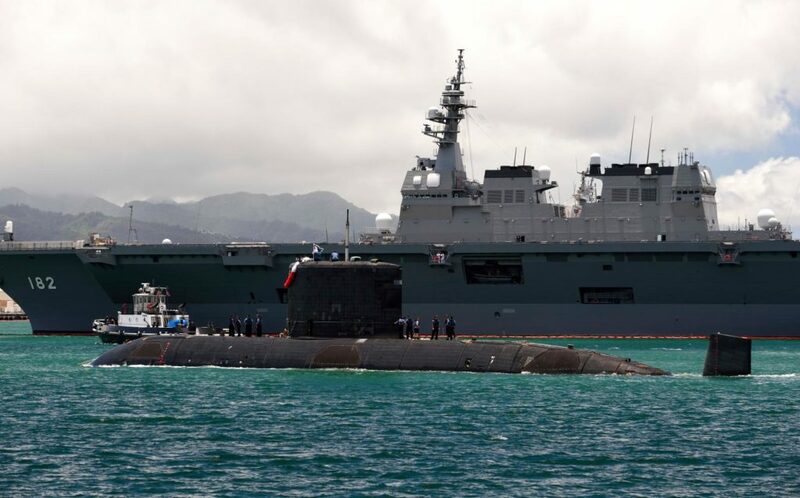 This limitation appears to be changing, as Japan recently bid on the Australian submarine replacement programme. Italy – builds German designs, which are typically under 2000 tons and suited for European geography. Spain – is building the S-80 class submarine (modified Scorpene-class French/Spanish design), which is an AIP fitted submarine of 2400 tons, the same displacement of Canada’s Victoria-class submarines. As can be seen, there are a number of shipbuilders that are capable of designing and building submarines, but almost all are European and have little expertise with larger ocean-going designs that have become the purview of the nuclear-powered submarine community. Furthermore, as the Australians have discovered with their current fleet of Collins-class submarines, simply stretching an existing smaller design is problematic, resulting in serious design issues that are not correctable after building. HMCS WINDSOR returns home to Halifax on December 17, 2015 after taking part in JOINT WARRIOR and TRIDENT JUNCTURE, coordinated exercises with NATO allies to enhance combat readiness. On that note, it is important for Canada to pay close attention to the Australian experience, as more than any other nation their submarine requirements in many ways mirror those of Canada. Australia is in the process of replacing their six Collins-class submarines with 12 conventional submarines. They have selected a long-range variant of the French Short Fin Barracuda design, fitted with a USN combat system. In this case, the Australians are pushing extant technology to produce a modern conventional submarine based on an SSN design, albeit supported by the MESMA AIP system. This is certainly unconventional in approach, but will this be a solution for Canada? Time will tell. Given the preference of the Government of Canada to build in Canada and the shipbuilding capabilities that are now being realized by the National Shipbuilding Strategy (NSS), it is reasonable to assume that a build in Canada solution, supported by a foreign shipbuilder with submarine building expertise, would be most likely – should the overall numbers warrant it. In addition to building the submarines, the necessary national infrastructure, particularly the supply chain, must be in place to support these submarines throughout their service life. To be clear, these are two different but complementary activities and they need synergy to be effective and efficient, particularly if there is a to be a long or continuous building process as originally championed under the NSS. So whither Canada’s Unconventional-Conventional Submarine? The Victoria Class Modernization will significantly upgrade the current fleet of submarines and allow them to remain operationally relevant to the end of the 2030s, thus keeping a Canadian submarine capability alive. Assuming a 15-year time-frame from project inception to Initial Operating Capability, a future submarine replacement project should be able to reap the advances in evolving technology as well as leverage domestic capability arising from the National Shipbuilding Strategy. This is not to suggest that Canada simply waits for industry to develop a solution; rather now is the time for the naval staff to evolve the requirement by pushing DRDC and industry to identify the technologies that are essential for a Canadian submarine. However, if Canada was to instead procure an “off the shelf” solution reflecting current technological limitations to meet short-term “cost efficiencies”, and subsequently failing to address unique Canadian requirements, these submarines will struggle to maximize their return on a rather significant investment. In sum, if Canada is to procure an affordable submarine that meets uniquely Canadian requirements – the Unconventional-Conventional Submarine – it needs time to leverage technology whilst simultaneously maintaining the current trajectory of growing the breadth and depth of Canada’s cadre of submarine expertise. The Victoria-Class Modernization project gives Canada that time. Captain (N) (retd) Norman Jolin, OMM, MSM, CD, is an Associate Consultant with CFN Consultants. Prior to joining CFN, Norm provided advice on Canadian defence procurement in the private sector, following a distinguished 37-year career in the Royal Canadian Navy.